1stSales – Tradeshow Leads – Smart. Simple. Tradeshow Leads – Smart. Simple. We are the premier provider of tradeshow lead retrieval services. Please take a moment to see how we can make your tradeshow a resounding success! We take things one step further and provide all attendees with a record of which companies they visited at the show. This is a win-win as it produces a more productive experience for the attendees, exhibitors, and show managers alike. 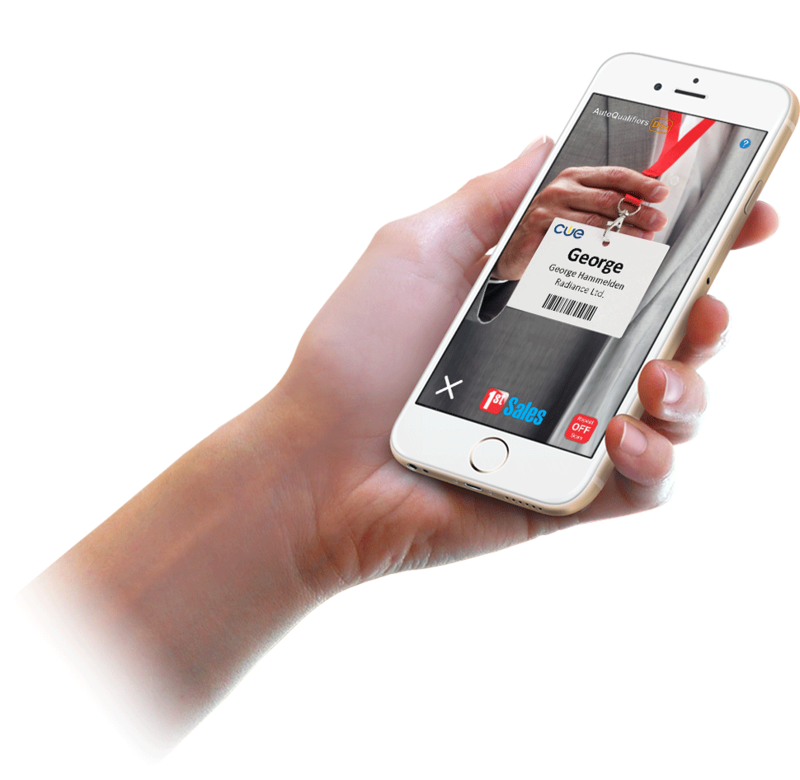 Based on over a decade of experience in the industry, we designed our lead retrieval app from the ground up to meet the needs of our customers. We’ve incorporated all the features that we feel are most valuable into one place so that exhibitors can focus their attention on potential customers and show managers can be confident that exhibitors will be back for the next show. Continue reading for detailed information about the unique features our app has to offer. The 1stSales app is compatible with both iOS and Android devices. Barcodes are instantly read from practically any angle. Use your voice to quickly and efficiently add text notes to your leads. Get the most out of the leads you gather by easily adding custom categories. Scan and qualify one at a time or rapid-scan groups without qualifying. Leads and qualifiers sync between devices when connected to the internet. Instantly connect with your leads via social media, e-mail, phone, text, and more. Barcodes scan quickly and reliably at any angle as soon as they’re in view. Get the most out of the leads you gather by easily adding custom data fields. 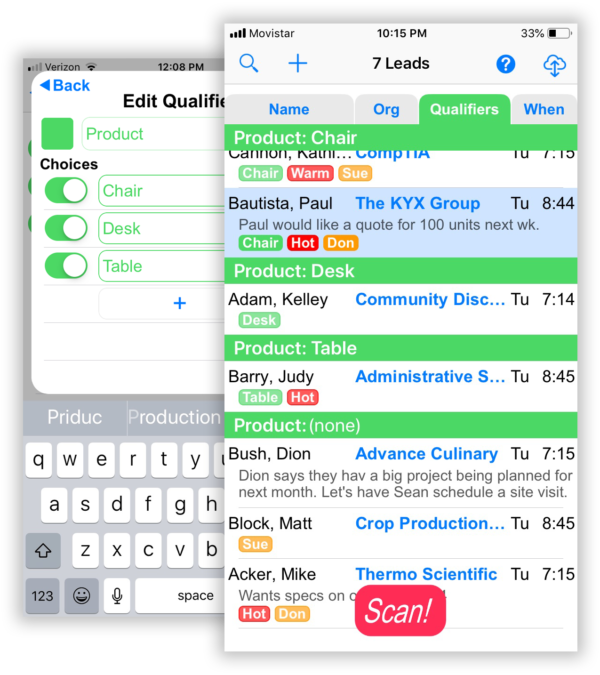 Leads and qualifiers sync between multiple devices in real-time. Easy to use but packed with optional power-features such as AutoTag, GroupScan, SendLead, QualifierSort and Connect! Make certain that your sales team is calling on your best leads with complete and accurate data on DAY ONE after the show. Attendees receive a post-conference e-mail with custom marketing/outreach content from exhibitors who scanned them. No problem! We’ve got you covered with handheld barcode scanners available for rental at most shows. We’ll help you design your badge layout and even your database if you like. Include us in your exhibitor packet and we take over from there. 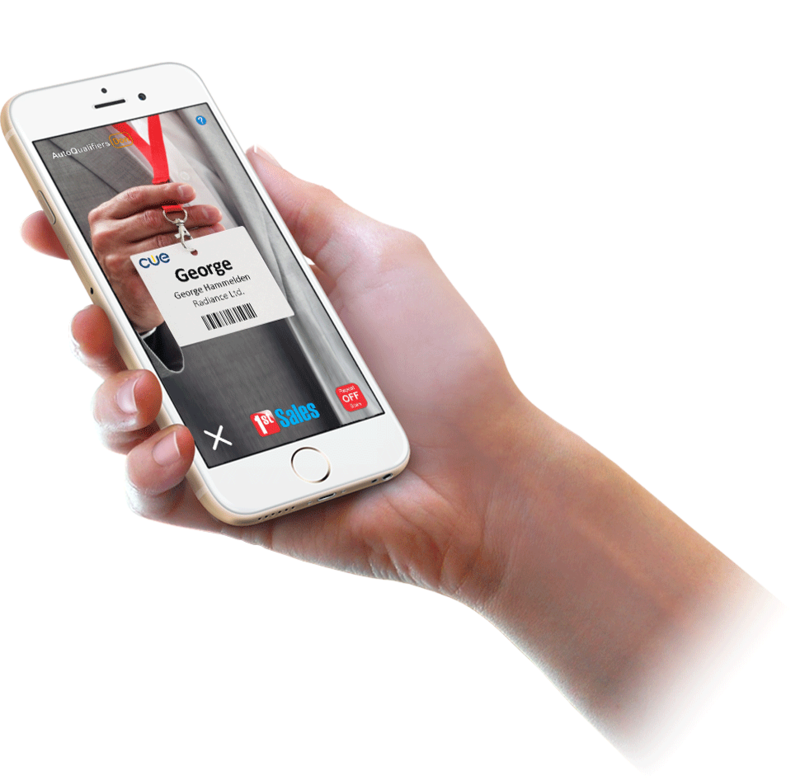 We can show you how to use our app or scanners to take attendance at your event, workshops, etc. We can even design a system where you can perform the “gatekeeper” function for controlled enrollment events. After the tradeshow, we provide you with hour by hour, booth by booth statistics so you can judge when and where your heavy traffic patterns occur. We also provide demographic reports to show you which categories of your attendees are the most frequent visitors to the exhibit area.